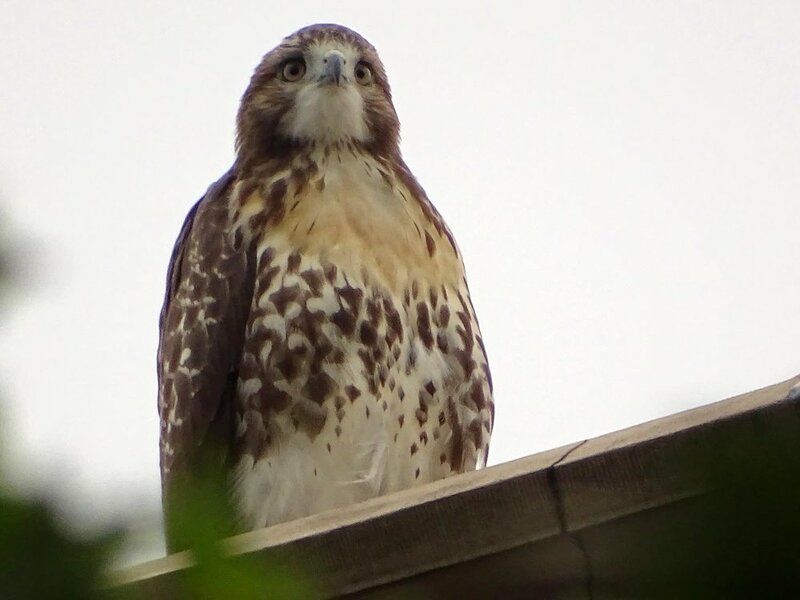 The three Grant's Tomb red-tailed hawk fledglings spent much of June 27 on the ground, chasing bugs, twigs, clover and other fascinating items near the Claremont Playground and behind the General Grant National Monument. 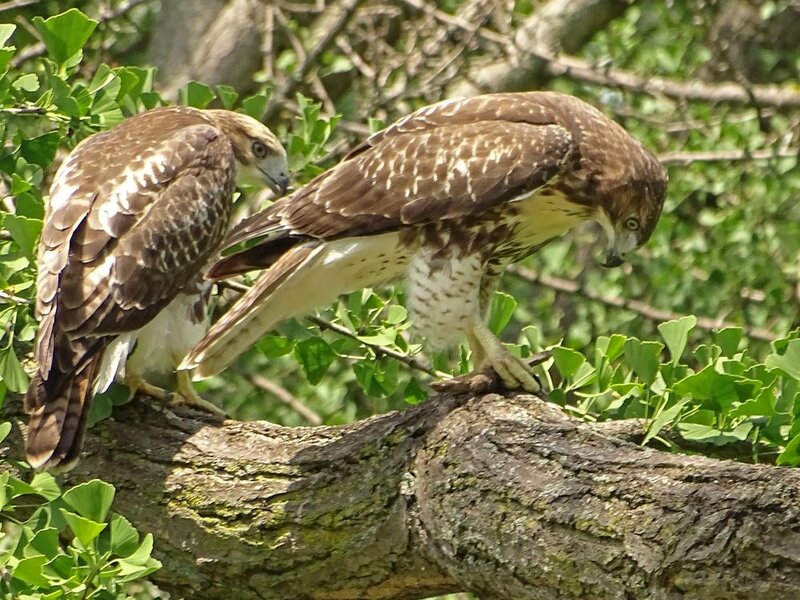 Baby hawk vs. squirrel. The squirrel won. The day was so filled with action that it warranted its own Chasing the Hawks video: The Grant's Tomb Fledglings, Part 4: June 27, 2017. So much fun to watch! 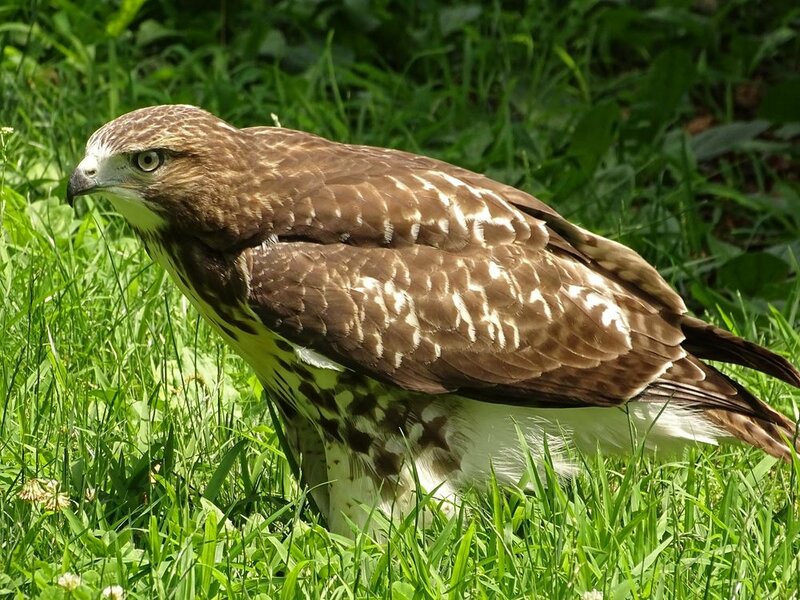 Adult red-tailed hawks don't spend a lot of time on the ground. They tend to swoop down, grab the prey, then swoop back up to a tree to eat. But the babies are discovering what they can and can't do, and because they weren't designed to run on the grass, they often fall over as they hop around. You'll see that in the video. The photos below are all from June 27.